Yes! Yes! Yes! 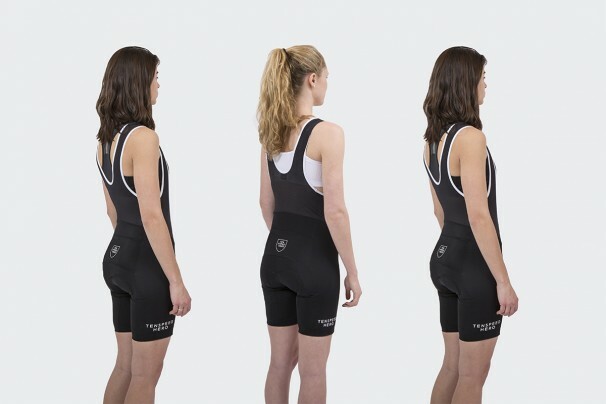 Today is the day we release a new 2014 Tenspeed Hero Women’s Racing Bib Short! They are classic! They are Technical! They are fun! They are Tenspeed Hero! We hope you love them! We have been striving to make the highest quality and most affordable cycling products in the industry so you can spend your extra dollars on mountain top espressos! post cards! + a needed chocolate bar! For those interested in a bit of history, we changed a few things on our first generation bib short based on some feedback from our sponsored racers. With photos and words below we detail the changes and improvements. We cut back on the length of the short by one centimeter to reveal your powerful legs in all the glory they deserve. Aesthetics count and we know you will like this subtle change. Our bibs now come fitted with a comforting pure silicon leg griper to keep your sweaty self more comfortable. Not dissimilar to a sailor tattooing a name as proof he loves his love, we’ve changed the black Tenspeed Hero shield on the back to a white one. Highly-visible, this shield will declare, “Je suis un hero! And I will keep going!” to any racer on your tail. If said racer does, for some crazy reason, start to pass you, our TSH-sailor/designer also splattered Tenspeed Hero insignia on the outer leg panels. This way, they’ll know you’re about to Allez! Allez! Mimicking white lines on unending roads, these bibs still have white piping on black mesh. Our top of the line Italian woven lycra is durable with just the correct amount of compression and give. Tags: Tenspeed Hero Gear, TSH WOMEN' Racing Bib Shorts, Womens Racing.